The government’s effort to reign in frau d(especially Medicare Fraud) committed against its agencies often has the result of protecting people who are particularly vulnerable. This was proven earlier this month when the Justice Department announced that Evercare Hospice and Palliative Care would pay $18 million dollars to settle False Claims Act allegations that they claimed Medicare reimbursement for hospice patients who were ineligible because these patients were not terminally ill. Evercare is based in Minnesota with locations in Arizona, Colorado and other part of the country. Hospice care is a special end-of-life care for the terminally ill. Medicare does not cover traditional medical care designed to improve or heal patients who are utilizing hospice services. Only patients who have a life expectancy of six months are less are eligible for special Medicare hospice benefits. The government alleges that Evercare knowingly submitted false claims to Medicare for hospice care from January 1, 2007 through December 31, 2013 for patients who were not entitled to Medicare hospice benefits because they were not terminally ill. Moreover, the government alleged that Evercare’s own records did not show that these patients were terminally ill. The government’s complaint also alleged that Evercare intended to maximize the number of patients for whom it could bill Medicare without regard to whether or not those patients were eligible for Medicare. 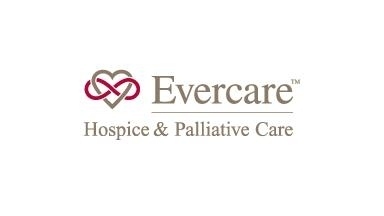 Next, the government’s complaint alleged that Evercare’s business practices included discouraging doctors from recommending that ineligible patients be discharged from hospice. Finally, Evercare is alleged to have discouraged nurses from accurately and completely documenting patients’ medical conditions in their records. This settlement was the result of a coordinated effort by the Civil Division’s Commercial Litigation Branch, the U.S. Attorney’s Office for the District of Colorado and HHS-OIG. If you know of fraud that has been committed against the government or one of its agencies, you are encouraged to report it and to contact a qui tam law firm.